It’s nice to have several mattress stores in Rockford, IL, but they certainly are not all the same. 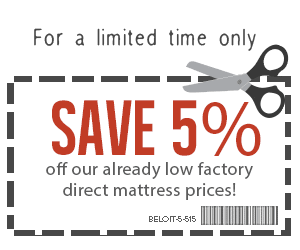 If you want the best value, quality, and expertise, you should begin and end your mattress shopping at Beloit. You Don’t Have to Shop All the Mattress Stores in Rockford! Just Head to Beloit. Here’s an overview of mattress stores in Rockford, IL, and what makes Beloit better. There are a number of furniture stores in Rockford that sell mattresses, including Gustafson’s Furniture and Mattress, Slumberland, and Choice Furniture. The problem with a furniture store is that headboards, dressers and armoires may be plenty, but you’ll only find a limited selection of mattress sizes and brands. A furniture salesman is also less likely to know which mattress will help you sleep best. Beloit Mattress is a family-owned business that’s been around for 80 years. They make their mattresses by hand and staff their mattress stores in Rockford and Beloit with experts who know about the quality materials used in their products. As a wholesale mattress manufacturer, Beloit Mattress doesn’t have to mark up their prices to pay a middleman. Instead, they’re able to offer you low prices, an unbeatable return policy, and a personal, stress-free mattress shopping experience. Of all the mattress stores in Rockford, Mattress Direct Outlet certainly has some of the lowest prices. They’re able to cut costs by lowering overhead and selling anonymous brands, but rock bottom prices is not everything when you’re aiming for a good night’s sleep. Their mattresses are also sealed in plastic for who knows how long – and definitely not handmade. Mattress Firm is a national chain of mattresses retailers with over 1,600 total locations. In their Rockford, Illinois mattress store you’ll find big brands such as Simmons, Serta, and Hampton & Rhodes, however you can expect a hefty price markup and not-so-personal customer service. And if you find your new mattress has a problem or is not quite what you wanted, good luck returning it. With so much business to their credit, they don’t need to try very hard to keep yours. Being part of a big chain, Mattress Firm has a lot of resources at its disposal. Where it’s lacking, however, is in customer service. The imperative is to sell customers the most expensive mattress in the least amount of time, not the mattress best suited to the customer’s needs, wants, and budget. Bottom line for us, you want to make sure the mattress store you choose will return or exchange your mattress, no matter what! We humbly believe that Beloit Mattress is your number one option for a quality mattress in Rockford. In fact, we feel so strongly about the quality of our products that if your mattress isn’t right within 60 days, we’ll rebuild it or let you return it! 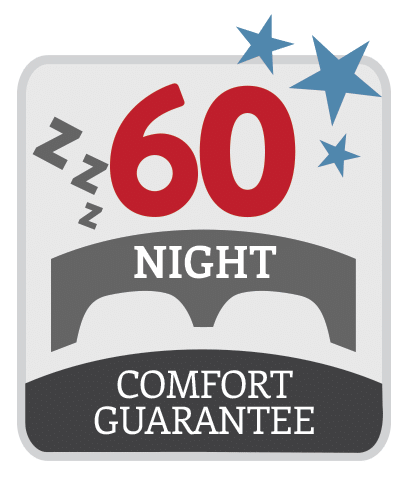 Our main goal is to deliver the best value and a comfortable night’s sleep – that’s it! So come see us in our Rockford store or shop our inventory online today! Ready to stop shopping and start sleeping? Here’s a 5% off coupon!